Set to make its official debut this September at the 2019 Frankfurt Motor Show, the Porsche Taycan will be unlike any previous Porsche. 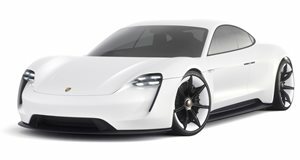 This all-electric, luxury high-performance sedan is chartering new territory for the carmaker, and like all its prototypes, Porsche subjected the Taycan to rigorous testing. In fact, the new EV covered approximately 3.7 million miles, of which 1.2 million were endurance miles, in the course of its development. A total of 30 countries were visited, including the US, China, the United Arab Emirates, and Finland. Temperatures ranged from minus 31 to 122 degrees Fahrenheit while altitude went from 278 feet below sea level to nearly 10,000 feet above. And there is another testing factor no previous Porsche was tested for: charging cycles. These Taycan prototypes had over 100,000 charging cycles using various technologies in different parts of the world. One of the key challenges the testing teams faced was charging the battery or temperature control of the drivetrain and interior under extreme conditions. It’s unacceptable for batteries to not properly charge in any condition, no matter how cold or hot. Development engineers also "drove” virtual Taycans in a driving simulator around the Nurburgring to properly gauge circuit performance. For example, they discovered that electrical energy management was essential to achieving a sub-eight-minute lap time. All of these efforts appear to have already paid off. The Taycan is said to accelerate from 0 to 62 mph in less than 3.5 seconds and has a range in excess of 310 miles. We won’t have official specs and photos sans camouflage for another few months, but what’s evident right now is that Porsche is nearly done with the Taycan’s brutal testing.